Budapest Stock Exchange landmark building, it was used for trading before the exchange moved to a modern office next to it at Liberty Square. Budapest is a significant economic hub, classified as an Alpha- world city in the study by the Globalization and World Cities Research Network and it is the second fastest-developing urban economy in Europe as GDP per capita in the city increased by 2.4 per cent and employment by 4.7 per cent compared to the previous year in 2014. 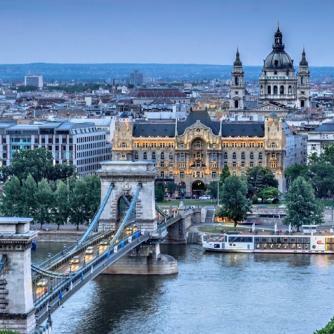 On national level, Budapest is the primate city of Hungary regarding business and economy, accounting for 39% of the national income, the city has a gross metropolitan product more than $100 billion in 2015, making it one of the largest regional economy in the European Union. According to the Eurostat GDP per capita in purchasing power parity is 147% of the EU average in Budapest, which means €37.632 ($52.770) per capita. Budapest is also among the Top100 GDP performing cities in the world, measured by PricewaterhouseCoopers. The city was named as the 52nd most important business centre in the world in the Worldwide Centres of Commerce Index, ahead of Beijing, Warsaw, Sao Paulo or Shenzhen and ranking 3rd (out of 65 cities) on MasterCard Emerging Markets Index. The city is 48th on the UBS The most expensive and richest cities in the world list, standing before cities such as Prague, Shanghai, Kuala Lumpur or Buenos Aires. In a global city competitiveness ranking by EIU, Budapest is stands before Tel Aviv, Lisbon, Moscow and Johannesburg among others. 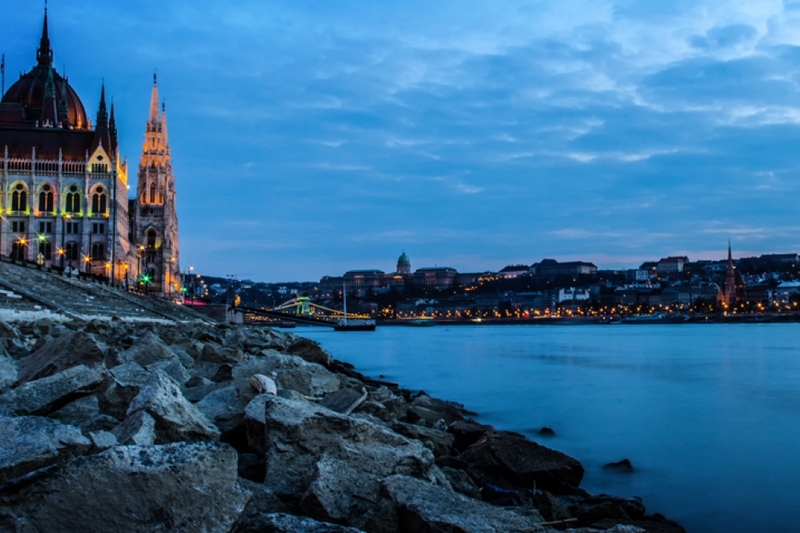 Budapest has notable innovation capabilities as a technology and start-up hub, many start-ups are headquartered and begin its business in the city, for instance deserve to mention the most well-known Prezi, LogMeIn or Nav N Go. Budapest is the highest ranked Central and Eastern European city on Innovation Cities' Top 100 index. A good indicator of the city's potential for innovation and research also, is that the European Institute of Innovation and Technology chose Budapest for its headquarters, along with the UN, which Regional Representation for Central Europe office is in the city, responsible for UN operations in seven countries. Moreover, the global aspect of the city's research activity is shown through the establishment of the European Chinese Research Institute in the city. Other important sectors include also, as natural science research, information technology and medical research, non-profit institutions, and universities. The leading business schools and universities in Budapest, the Budapest Business School, the CEU Business School and Corvinus University of Budapest offers a whole range of courses in economics, finance and management in English, French, German and Hungarian. The unemployment rate is far the lowest in Budapest within Hungary, it was 2.7%, besides the many thousands of employed foreign citizens. Budapest Stock Exchange, key institution of the publicly offered securities in Hungary and Central and Eastern Europe is situated in Budapest's CBD at Liberty Square. BSE also trades other securities such as government bonds and derivatives such as stock options. Large Hungarian multinational corporations headquartered in Budapest are listed on BSE, for instance the Fortune Global 500 firm MOL Group, the OTP Bank, FHB Bank, Gedeon Richter, Magyar Telekom, CIG Pannonia, Zwack Unicum and more. Nowadays nearly all branches of industry can be found in Budapest, there is no particularly special industry in the city's economy, but the financial centre role of the city is strong, nearly 40 major banks are presented in the city, also those like Bank of China, KDB Bank and Hanwha Bank, which is unique in the region. Also support the financial industry of Budapest, the firms of international banks and financial service providers, such as Citigroup, Morgan Stanley, GE Capital, Deutsche Bank, Sberbank, ING Group, Allianz, KBC Group, UniCredit and MSCI among others. Another particularly strong industry in the capital city is biotechnology and pharmaceutical industry, these are also traditionally strong in Budapest, through domestic companies, as Egis, Gedeon Richter, Chinoin and through international biotechnology corporations, like Pfizer, Teva, Novartis, Sanofi, who are also has R&D and production division here. Further high-tech industries, such as software development, engineering notable as well, the Nokia, Ericcson, Bosch, Microsoft, IBM employs thousands of engineers in research and development in the city. Game design also highly represented through headquarters of domestic Digital Reality, Black Hole and studio of Crytek or Gameloft. Beyond the above, there are regional headquarters of global firms, such as Alcoa, General Motors, GE, Exxon Mobil, British Petrol, Hudson Legal, British Telecom, Flextronics, Panasonic Corp, Huawei, Knorr-Bremse, Liberty Global, Tata Consultancy, Aegon, WizzAir, TriGránit, MVM Group, Graphisoft, there is a base for Nissan CEE, Volvo, Saab, Ford, including but not limited to.